Happy holidays, friends! I hope you’ve been able to celebrate this holiday season – whatever your faith – in your happiest of ways. For some of you, that may be surrounded by friends and family. For others, it may be curled up by a cozy warm fire with a good book. To be honest, both of those sound like absolutely wonderful ways to celebrate the winding down of the year! My Christmas celebration involved spending three uninterrupted days at home with my husband, snacking on chocolate and tacos (not simultaneously), and enjoying marathons of Star Wars movies and a three-day-long round at our favorite board game, The Farming Game. It was three days of so much fun, and I wish it could have lasted just a bit longer – but that’s just the way life goes, I suppose. 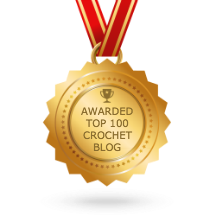 As 2017 begins to wind down, I’ve taken some time to reflect on all of the wonderful projects and happenings that this year has brought to the Two Hearts Crochet family. It’s been a magical year! Honestly, I had no idea just how many projects I’d completed this year until I started looking back at 2017 photos to include in this post, and now I’m feeling even more overwhelmed with a sense of accomplishment and joy. Seriously, I’m crying here – this is amazing! I can’t even believe how great 2017 has been. Looking back at this list of accomplishments, I feel truly overwhelmed. How did I even find the time to do all of these things?! Clearly there is more time in the day than I realize! As 2017 comes to a close, I am truly shocked at just how many project I was able to fit into a single year. My productivity this year has set an unprecedented standard for 2018, one that I doubt I’ll be able to keep up with. At the end of this year, I am tired and a little worn down. The launch of my first ecourse earlier this month particularly took a lot of energy from me, and I look forward to relaxing a bit over the last few days of December. Looking ahead, 2018 is going to be full of many fun projects, but I’m hoping to keep things a little more calm than this past year. We’ve got the Solar System CAL starting January 5th, and the Mystery Ami CAL starting January 9th, and I’m planning on making an awesome kraken-themed shawl sometime in the spring as well. I’ll even have another ecourse launching in 2018 (it’s going to be GREAT), so I’m sure to be super busy! As we ring in the new year, I hope you get to take a moment and reflect on all of the joys that 2017 has brought you. It’s been a difficult year, a challenging year, but a year full of hidden blessings all the same. So how about you? What projects have you completed this year, and what are you looking forward to making in 2018? You did accomplish a lot in 2017! I found your blog through your Katherine Heigl interview and have enjoyed every post I’ve read. I purchased your Amigurumi Crash Course and can’t wait to start the videos. I also can’t wait to start the CAL in the new year too 🙂 Happy New Year! Wow what a busy year! 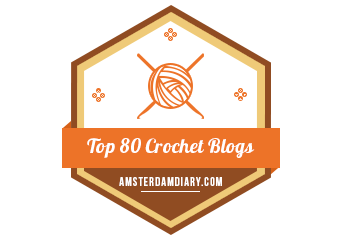 It’s amazing how much we can get done without realising, I had a look through my FO Friday posts and there are loads of them!